It doesn't take most people long to realize just how many Big Island activities there are. You'll want to do your research to make sure you pick the best Hawaii Big Island Tours. 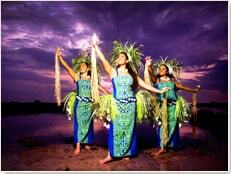 Hawaii Vacations is a great place to start learning about the many Kona activities and Hilo tours. No matter your interests, there is something on the Big Island for everyone. 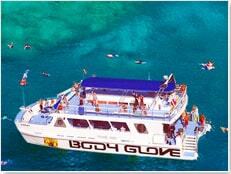 Let us help you choose activities and tours for your Big Island Hawaii vacations. Tours of the World’s Most Active Volcano, Kilauea, and Volcanoes National Park where you will see numerous craters and the ominous caldera, still smoking. Believe us, this is one of the Hilo Tours not to be missed during your Big Island Hawaii Vacations. This Big Island Vacation activity is a perpetual favorite! On several guided Hawaii Big Island Tours (also known as Big Island land tours) you can board a comfy bus and really relax and do some sightseeing. Some stops are the black sand beaches of Punaluu, the Thurston lava tube, rainbow falls, Parker ranch, and the coffee plantations. For a top notch Hawaiian sightseeing adventure, you might enjoy a helicopter tour, one of the most popular Hawaii Big Island activities where you'll enjoy spectacular views from a helicopter whether you're interested in Hilo tours or Kona tours. 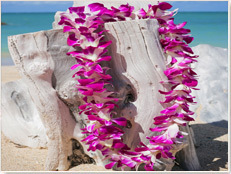 Of course you must experience a luau to get the most out of your Big Island Vacations. It just wouldn't be complete without it. Enjoy an fun evening of authentic Hawaiian food, entertainment, and you might even learn something while your at it during any Big Island Luau. A truly unique Big Island experience takes place at the Summit of Mauna Kea, 13,796 feet above sea level. Because of the clear air at this high elevation, some of the best stargazing in the world can be done in on a dormant volcano! You'll watch a breathtaking sunset and then go Hawaii stargazing at the 9,200 feet level at the Onizuka Center for International Astronomy. 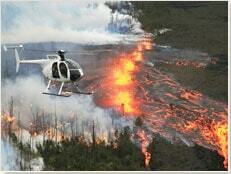 Hawaii Big Island tours can be breathtaking! If you like to be on the ocean, you might try Dinner Cruises, Deep Sea Fishing, Kayaking, Snorkeling, Surfing and Whale Watching. 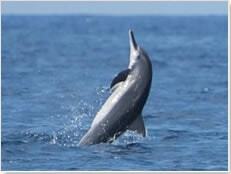 On several Big Island activities, you can even swim with wild dolphins! Or perhaps you would like to try SNUBA - a patented shallow water breathing system that does not require certification. 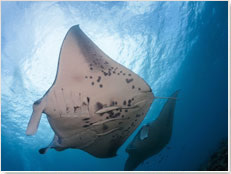 For a truly awesome thrill, go manta ray diving at night! Any of these are fun Hawaii Big Island activities. 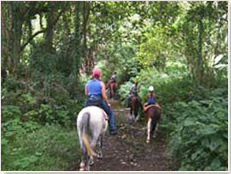 Anyone planning one of their Big Island Hawaii vacations should consider the many different Big Island Vacation activities from Kona Tours to Hilo Tours. 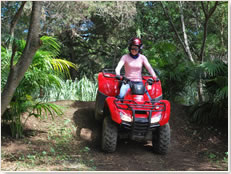 For the adventurous, be sure to check out the other Hawaii Big Island Tours and Big Island vacation activities such as ATV Tours, Eco Tours and Horseback Riding. These Hawaii Big Island Tours provide a unique look at the island and a certain rush that some of us crave. Most Hawaii Big Island Activities such as Kona tours and Hilo tours should be booked well in advance because of limited availabilty. Save the hassle, and book your activities with Hawaii Vacations today and let us make your dream Big Island Hawaii Vacations come true. Choose your Big Island Vacation activites with HawaiiVacations.com and save. Remember, Big Island activities book far in advance so do wait until you arrive to book your activity - do it now!